Get Hooked On Our Seafood Specials! 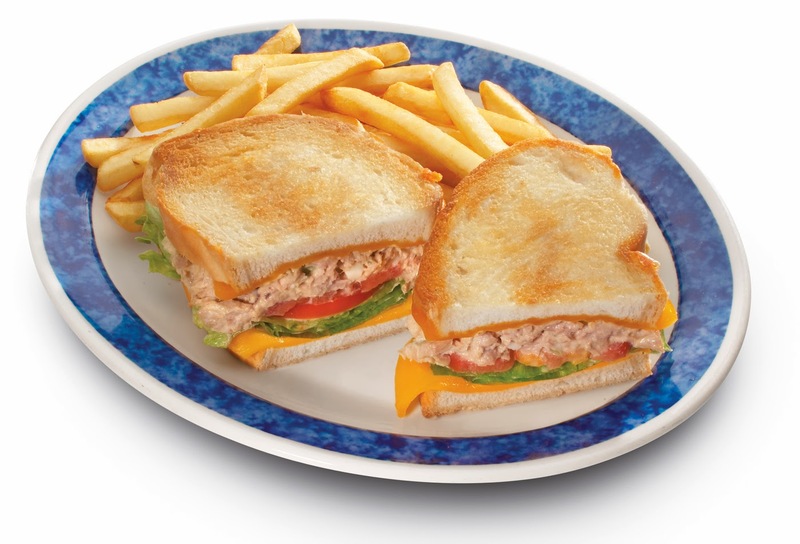 It’s seafood time at Eat’n Park! Read on to learn more about our fin-tastic deals! This recipe is straight from ‘da burgh! 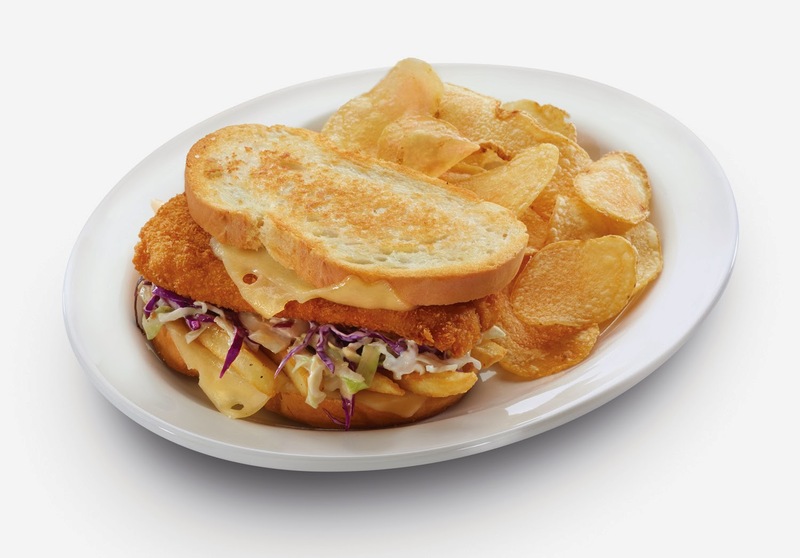 A crispy fish filet, Swiss cheese, our homemade chipotle slaw, and seasoned fries piled high between two slices of our freshly baked grilled Italian bread. Served with your choice of one side. 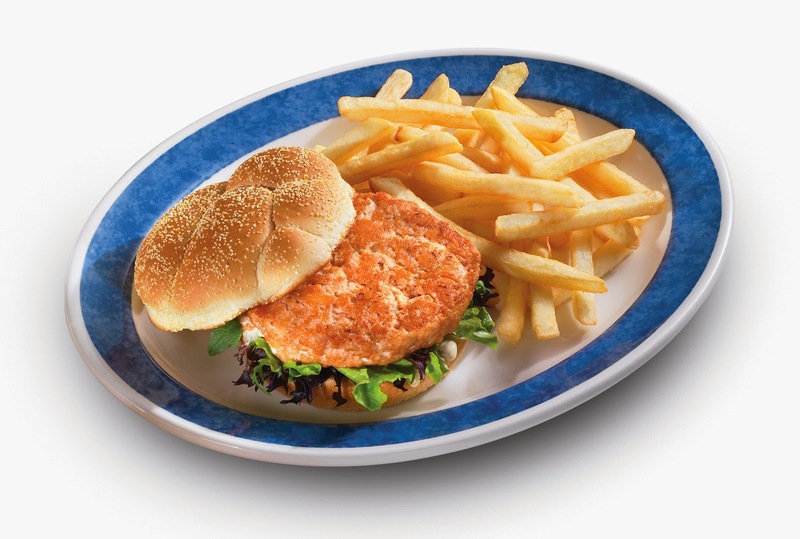 Sink your teeth into our grilled salmon burger on a Kaiser roll with our chipotle ranch and mixed greens. It’s a guilt-free burger, packed with flavor! Served with your choice of one side. 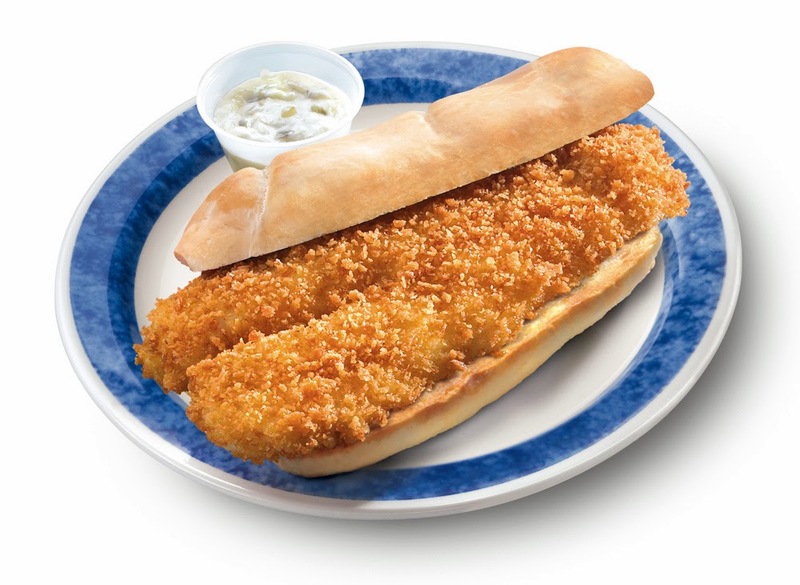 This HUGE cod fillet is hand breaded with panko breadcrumbs, fried to a golden perfection and then served on our house-baked hoagie roll. It’s the biggest fish sandwich in town! 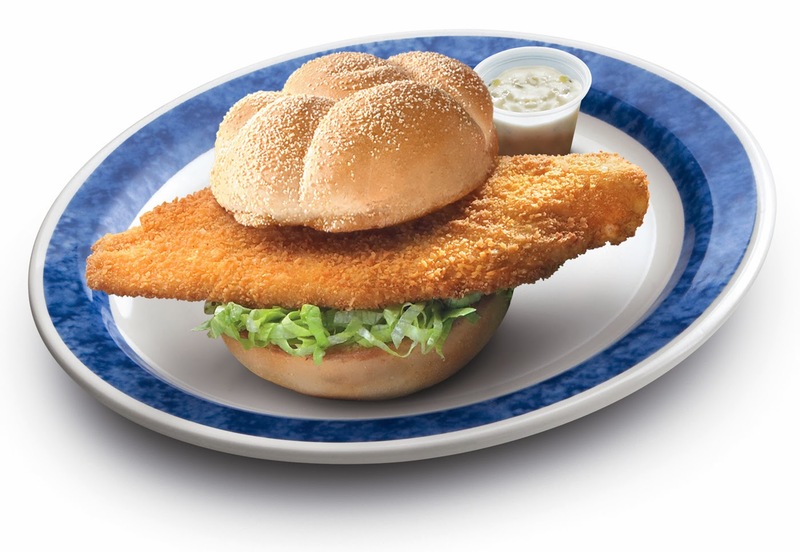 Enjoy a hand-breaded piece of whitefish nestled between a freshly toasted Kaiser roll with our Sauce Supreme and lettuce. Served with your choice of one side. Homemade tuna salad with Starkist tuna, fresh green peppers, celery, onion, diced egg, relish, and mayo on our grilled house-baked Italian bread with melted cheddar, lettuce and tomato. 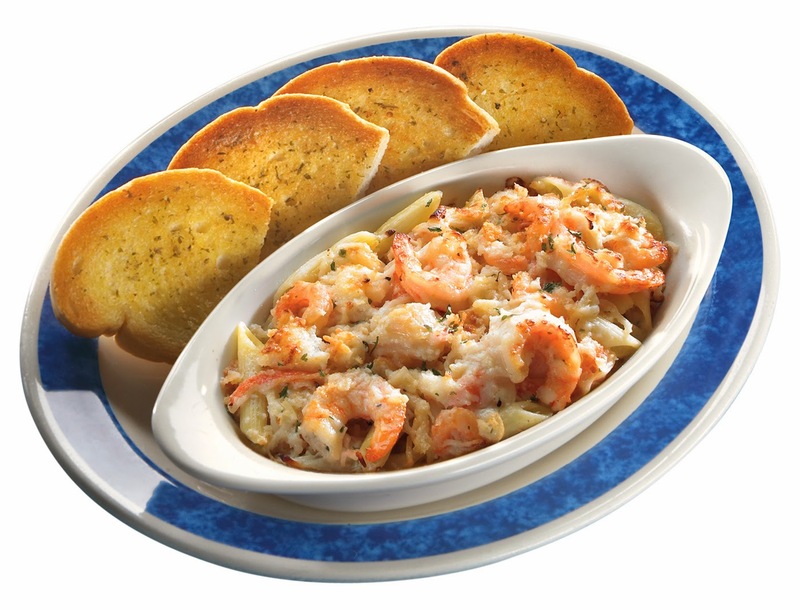 All baked seafood dishes come with your choice of two sides and our bakery-fresh rolls. 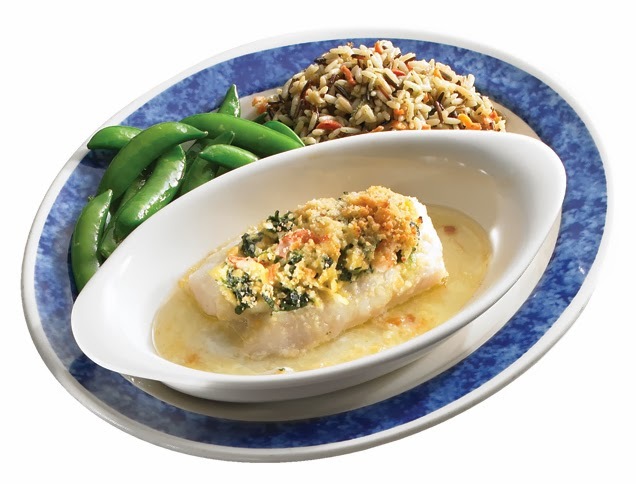 Fresh from the sea, oven-baked cod stuffed with our homemade crab, shrimp, spinach, onion, cheddar cheese, and cracker crumb stuffing. It’s delicious! An Eat’n Park favorite! 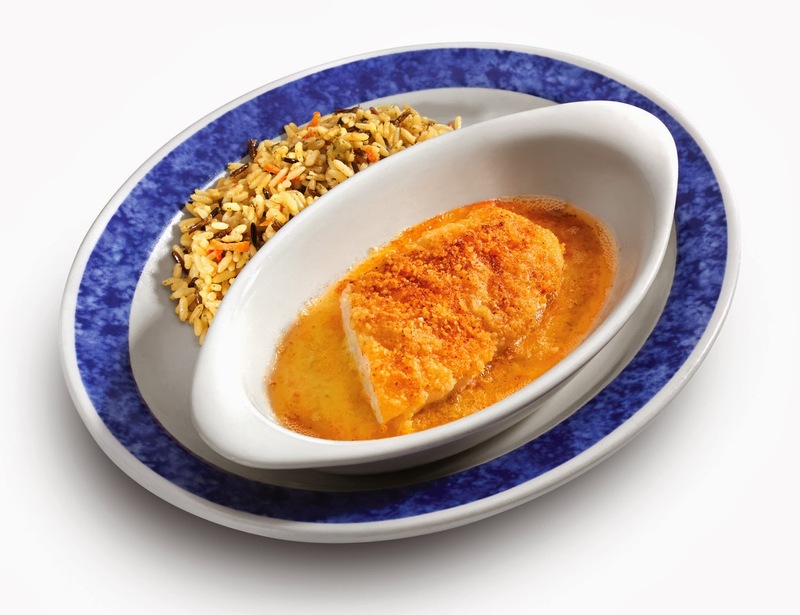 Baked cod filet with a buttery bread crumb topping. 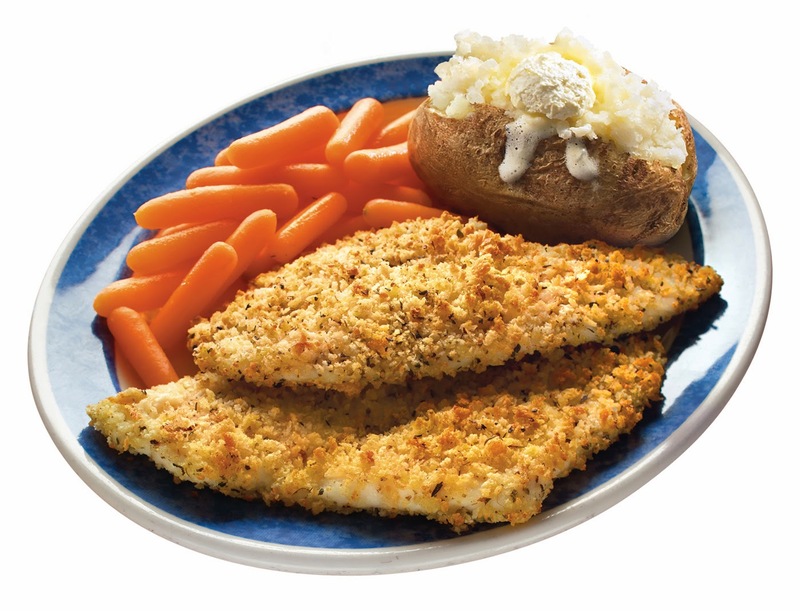 Flaky sole lightly hand-breaded with Parmesan bread crumbs and drizzled with butter and fresh-squeezed lemon. 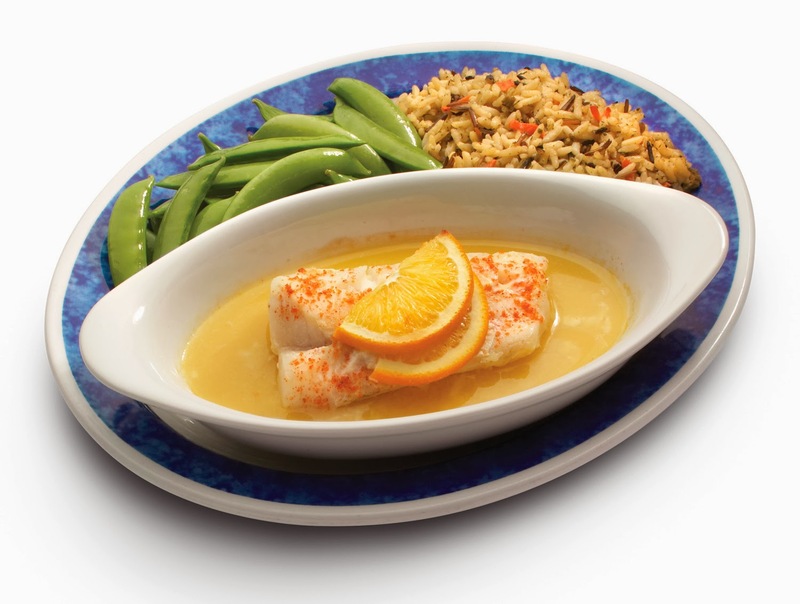 This fisherman’s favorite includes one piece of cod baked in Sunkist orange juice. What a catch! 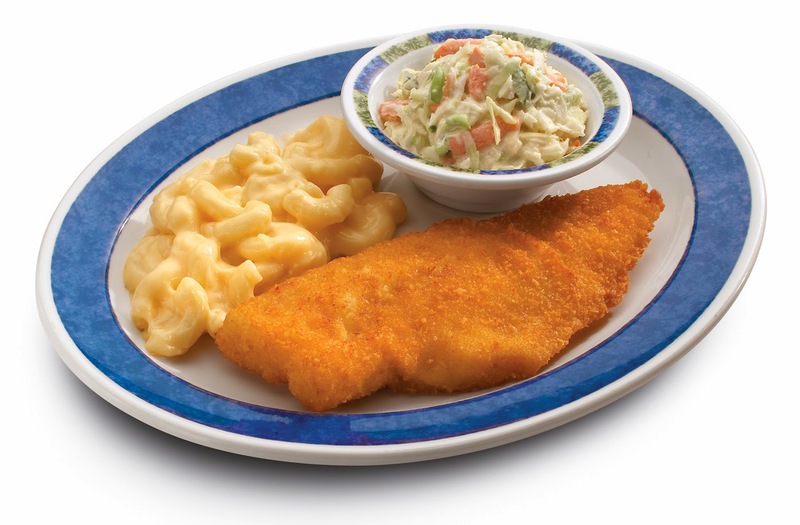 Hand-breaded whitefish fillet with macaroni and cheese. Served with a side of our fresh-cut homemade coleslaw. 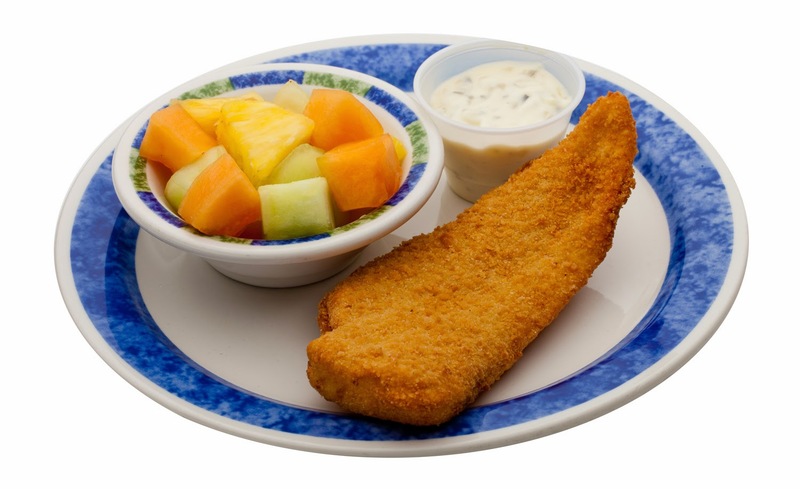 Hand-breaded whitefish, fried to perfection. Choose one filet or two, with two sides and our bakery-fresh dinner rolls! Shrimp and crabmeat baked in scampi butter and Alfredo sauce, served on a bed of penne pasta. Served with garlic toast and one side. 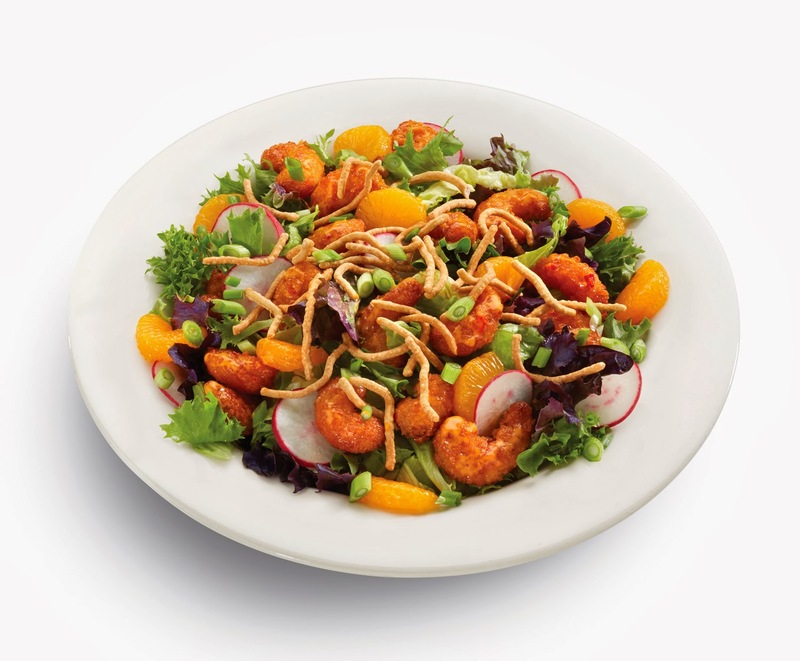 Mixed greens, mandarin oranges, radishes, green onions, and chow mein noodles topped with crispy shrimp tossed in our spicy Boom Boom sauce. Served with honey ginger dressing and seasonal bread. 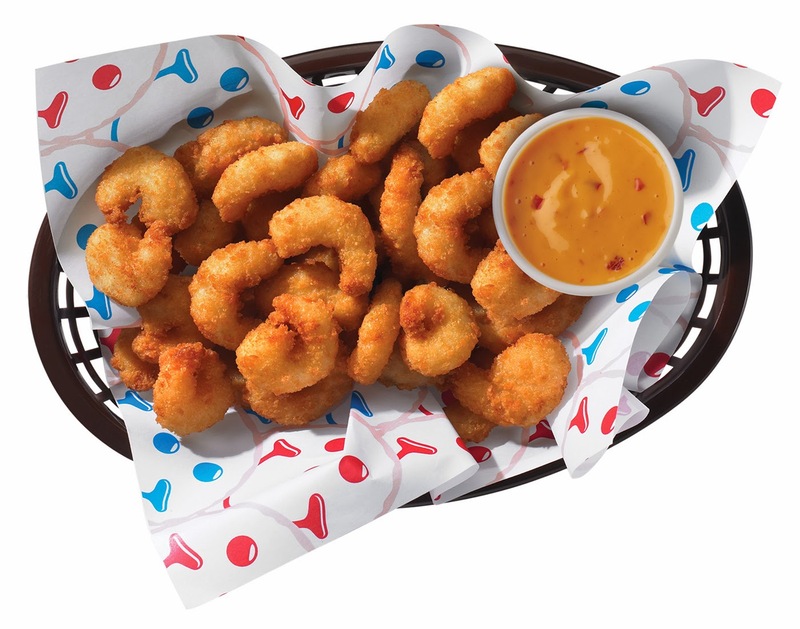 A basket of crispy popcorn shrimp fried to a golden brown, and served with our Boom Boom dipping sauce. We’re also featuring select seafood dishes as part of our Salad Bar Dinner Deals. Click here to learn more! Save Some "Green" on St. Paddy's Day Items!